When we hear the word ‘probiotics,’ we don’t typically consider them beneficial for the mouth, but rather, the gut. While probiotics certainly have their place in digestive health, at our dental office in Alexandria, we’ve come across some research that may suggest a link between certain types of probiotics and better overall oral health. Talks about probiotics have been increasingly popular throughout the past couple of years. But what are probiotics and why are they good for you? Simply, probiotics are live microorganisms that help support our bodies. These microorganisms are usually bacteria, but not the bad bacteria that we normally think about and that make us sick. The bacteria we refer to when talking about probiotics are the good bacteria that help us stay healthy. You may remember some yogurt companies in particular mentioning probiotics in their advertisements. 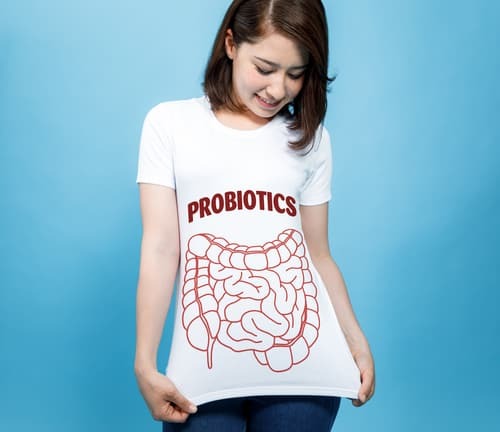 These probiotics specifically help with digestion and support gut health by keeping enough good bacteria around to fight off the bad bacteria off. There are other types of probiotics around that tend to help different areas of the body. In this case, we’re referring to oral probiotics. Oral probiotics are ones that are being researched to study their effects on oral health. And there may be some exciting news in the future. Initial studies support the idea that there may be a positive correlation between specific types of probiotics and reducing the risk of gum disease, plaque, and bad breath. Don’t worry about how to pronounce them, let’s just focus on why we’re taking a closer look at them. Bifidobacterium and Lactobacillus are strains of probiotics and are the two that are mainly used in probiotic research in relation to oral health. Found naturally in both the bodies and mouths of mammals, Bifidobacterium and Lactobacillus have been studied closely to see if there was a connection between increasing the amount of them in test subjects and healthier mouths. While the amount of research we currently have is limited, and the evidence is not yet conclusive, there have been cases where Bifidobacterium and Lactobacillus have helped in the treatment of periodontal disease and halitosis, and has seemed to reduce the risk of cavities. This is exciting news for the dental community. But while we’re waiting on researchers to continue studying the possible connection, we don’t recommend simply starting yourself on a probiotics routine before discussing it with your medical team, including your dentist in Alexandria. Welcoming patients from Alexandria, Old Town, Del Ray and beyond.